Townhouse with 2 Master Bedrooms, both with ensuite Baths. Condo has an excellent location that is close to tennis, weight room and Clubhouse area. The condo has had only one owner since it was built in 1975 and has never been a rental unit. While the owner has lived here comfortably and enjoyed the home for many years, it is ready for an update. Most of the furniture and furnishings will be sold with the condo. The backyard west facing patio has been recently tiled. 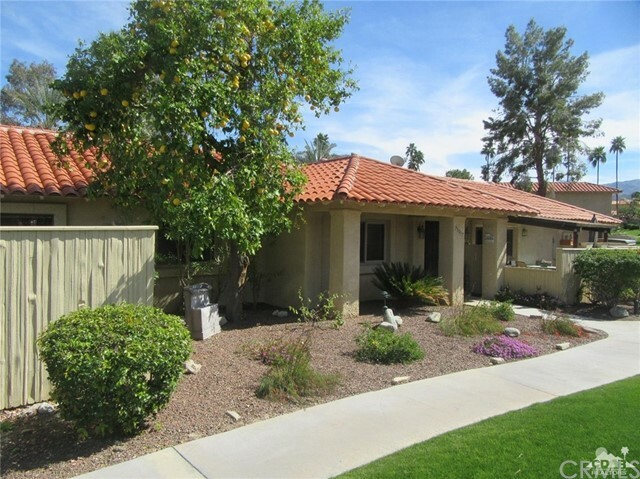 The condo is located in Deep Canyon Tennis Club. This is a very active tennis, Pickleball and social community. A new Clubhouse project is in the works to provide an enhanced gathering area for many uses for years to come. So much happens here beyond sports. Bridge play abounds. Quilting, Yoga, Water Aerobics, Book Club and much more. This is a welcoming community where new friends are easy to make and often last a lifetime. Golfers will enjoy $52 per round play at Desert Willow Golf Resort as Palm Desert Residents. 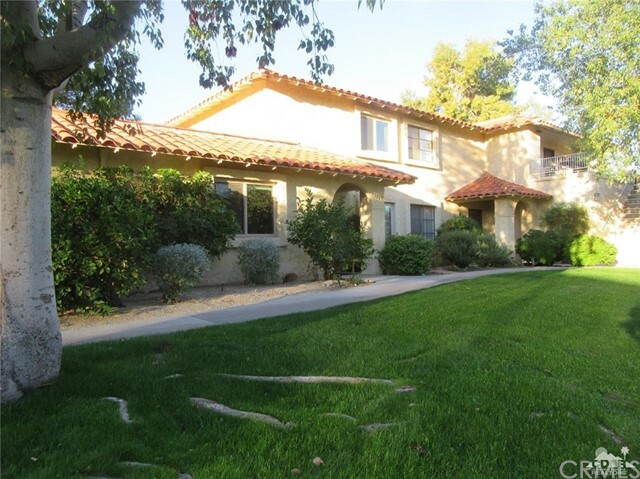 Highly desirable "A" unit in the Deep Canyon Tennis Club. "A" units have 3 bedrooms/2 bathrooms all on one ground floor level. This unit has one of the best locations in the development; close, but not too close, to everything. The windows and sliding door have been upgraded to double-pane. The popcorn has been removed from the ceilings. The interior is just waiting for your personal touches. This unit has great bones; make it your own today. Deep Canyon Tennis Club has 12 tennis courts, 12 community swimming pools, 6 pickleball courts, a putting green and bocce ball court. It is a great community and can be as active or laid back as you want it to be. Very Desirable and not very often Available 2 Bedroom and 2 Bath all Lower Level Condo with no unit above. Nicely remodeled kitchen with an open feeling to the living and dining room. Laminate flooring in Living and Dining Rooms and Carpeted Master Bedroom. The guest bedroom serves as and office with excellent space usage including a Murphy Bed. Condo includes an open air Atrium providing a comfortable sit out area and naturally circulating airflow through the condo. Will make a fine home or seasonal getaway with excellent rental potential of $3,500 or more per month for January, February and March. Hugely active recreational and social community. Tennis is at its best here on 12 courts with active Pickleball on 6 courts. Bocce, workout room, 12 pools, 4 spas. Active quilting, yoga, water aerobics, singing groups and much more. Golfers will enjoy $52 per round access to famed Desert Willow Golf Resort with Palm Desert ID. Location is quite private. Patio affords some valley view. Two Bedroom and 2.5 Bath condo in Gated Community. Both upstairs carpeted Bedrooms have an ensuite bath which is most convenient when friends or family come for a visit. Downstairs entry into carpeted living room. Dining Room has new floor tile that extends into the nicely updated kitchen. Granite countertops and newer appliances. Outside west facing patio has ample shade and is newly tiled. Comes furnished and furniture is of fine quality. Well located in Deep Canyon Tennis Club a haven for excellent tennis play on 12 courts, 6 Pickleball courts, 12 pools, 4 hot tubs, workout room and new clubhouse in the works. Lots and lots of recreational and social happenings. This furnished condo has a good rental history expected to bring around $3,500 per month January to March. As Palm Desert residents you'll enjoy golf at famed Desert Willow Golf Resort for just $52 per round. There's lots happening here at Deep Canyon. Come and be a welcomed part of it all. 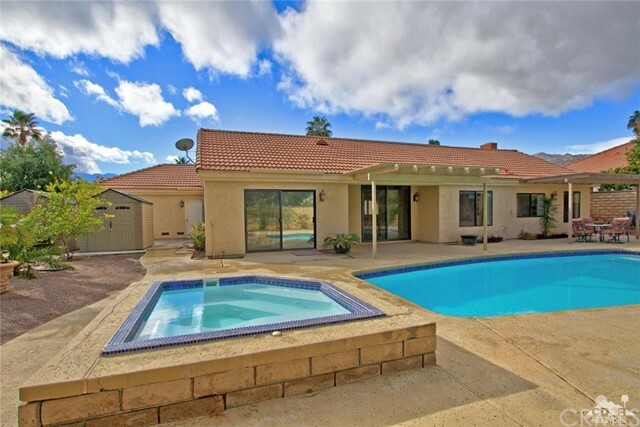 Investors behold this great 4 + 3 pool/spa home in prestigious Canyon Cove. Live in this desirable location of South Palm Desert, close to El Paseo,shopping centers, the best restaurants and theaters. Buy the lowest priced home in the best neighborhood they say...well here it is. Almost 2200 sq ft with NO H.O.A. dues AND the Solar system has been installed and paid for! Monthly electric bill has averaged appx $145 a month. This private 1/4 acre lot has no home behind it and is on a quiet and peaceful no outlet street. Large pool/spa with two covered patios. Master has a very expensive step in-sit down bath tub/spa and a separate shower. Just add your own personal upgrades to this property and you have yourself a winner! Huge Price reduction. Tennis Anyone? The condo of your dreams has come true. Newly on the market, this quiet located 2 bedroom 2.5 bathroom is in a tennis players haven. You don't have to play tennis to enjoy the views, pool, clubhouse, rear patio and greenbelt surrounding grounds. This condo is freshly painted, with New tiled Porcelain flooring, it also feature new carpet and a newly installed dishwasher along with a built in Microwave and Gas stove in kitchen. There is a stacked washer and dryer in downstairs closet with adjacent half bath for guests when entertaining. The Ceilings have all been smoothed and look great. This lovely home is truly ready for the new owners. There are 12 Tennis Courts, 8 Pickle ball Courts along with 12 Pools & 4 Hot Tubs. There are a total of 350 Units in the complex. Give this unit serious consideration as it is expected to go quickly! Enjoy the best part of living in the desert, the amenities. 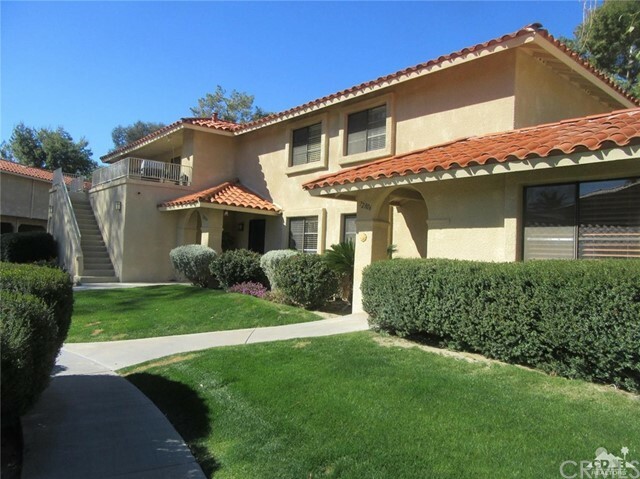 This two bedroom, two bathroom condo is located in the heart of Palm Desert. Everything you want, close to home. 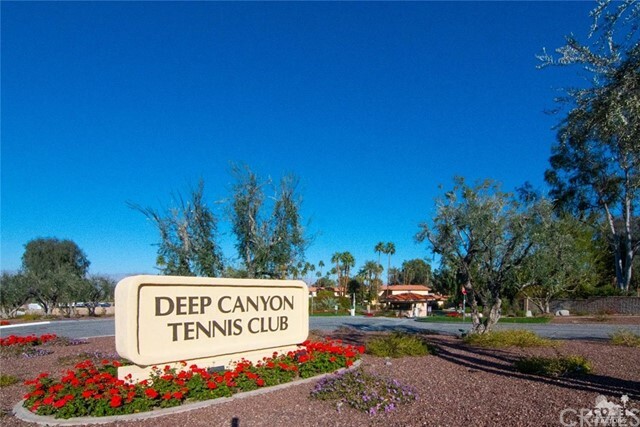 Deep Canyon Tennis Club is a 24 hour guarded and gated community with 12 tennis courts, 12 pools, a gym, clubhouse, and social events calendar. And just a short distance away is the best dining and shopping the desert has to offer at El Paseo and the Westfield Shopping Center. This model E condo features a remodeled kitchen with new stainless steel appliances, tile backsplash, and granite countertops. The two full bathrooms have been updated with new sinks and granite counters. The entire condo has new tile floors throughout and has been freshly painted. This condo is one-of-a-kind where the interior patio was converted to a sunroom, creating an open floor plan with added square footage. The sunroom has a bright skylight allowing natural light to flood the living space. BARGAIN for the investor. Needs small work to make this a winner for an owner for seasonal rent. Will bring serious rental income, needs some newer furnishings, has been repainted & some updating. Best central LOCATION, priced to sell. Look at the view from patio-astounding!! A BUY, low price. ©MMVIII Sotheby’s International Realty Affiliates LLC. A Realogy Company. All Rights Reserved. Sotheby’s International Realty® is a registered trademark licensed to Sotheby’s International Realty Affiliates LLC. An Equal Opportunity Company. Equal Housing Opportunity. Each office is independently owned and operated. © 2019 Pacific Sotheby’s International Realty Affiliates LLC. All Rights Reserved.